A gallery of images taken by NASA and ESA during their exploration of space. Named after the roman god of war. 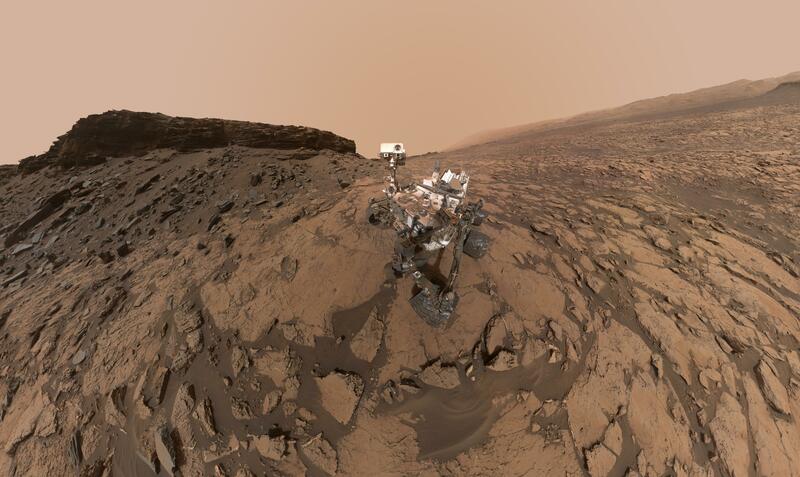 Mars is the smaller brother of earth. With its size being approximately half that of the earth its gravity is only capable of maintaining a thin atmosphere made up almost entirley (95 %) of carbon dioxide. Since the 1960 Mars has been visited by a number of spacecrafts and landers. This gallery features some interesting images from those missions. 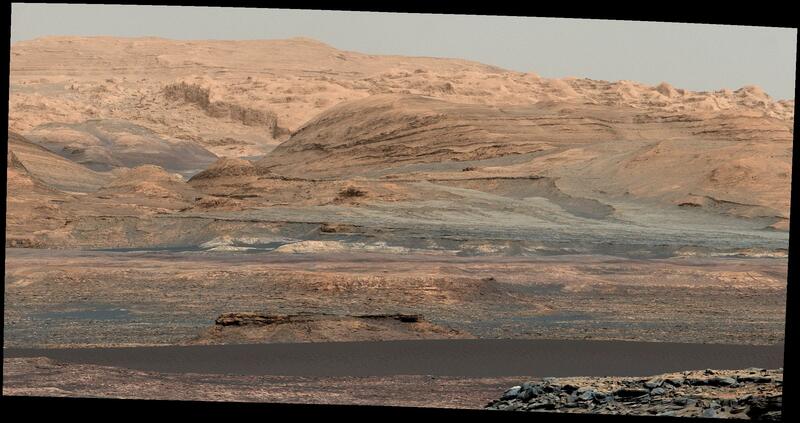 A Recent Impact in Elysium Planitia (Mars). 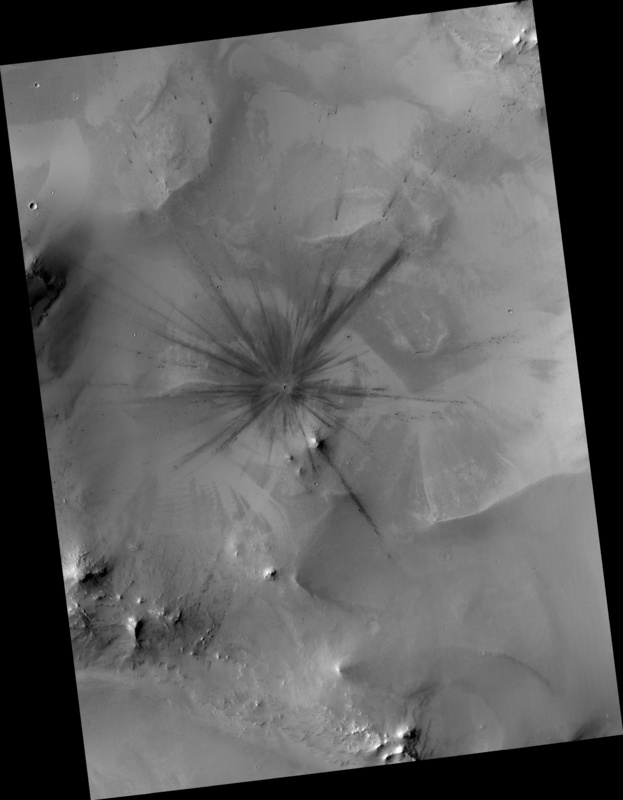 The crater is the result of an impact that happened between February 2012 and June 2014. What looks like burn marks is in fact darker material that was ejected on impact. 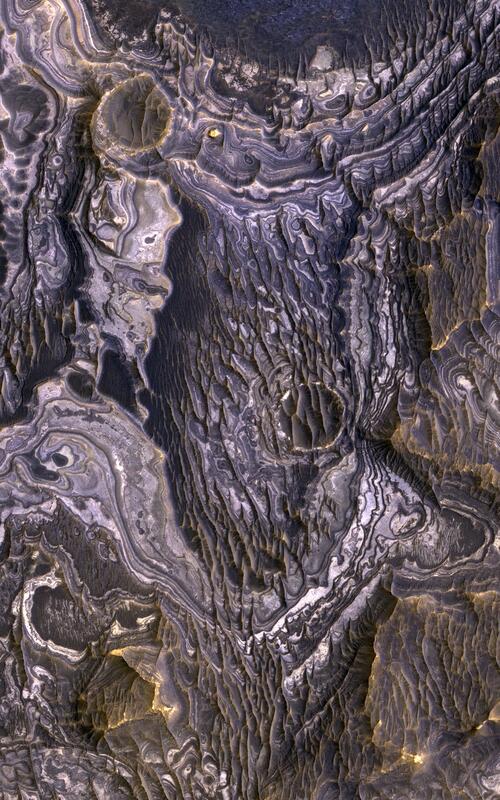 Carbon Ice caps near the south pole of mars.